A5 (Romina Funtes, Adam Grinovich, Annika Pettersson) — Tobias Alm – Yasar Aydin — Sofia Björkman — Hilde De Decker — Jenny Edlund – Iris Eichenberg — Karl Fritsch – Hanna Hedman – Aud Charlotte Ho Sook Sinding — Catarina Hällzon — Agnieszka Knap — Karen Pontoppidan — Miro Sazdic – Lisa Walker. Färgfabriken is an exhibition space and experimental platform for art and architecture as well as social and urban development. They seek to challenge, engage and create new connections and collaborations. Färgfabriken is a site to visit exhibitions, take part of discussions, workshops and attend talks. 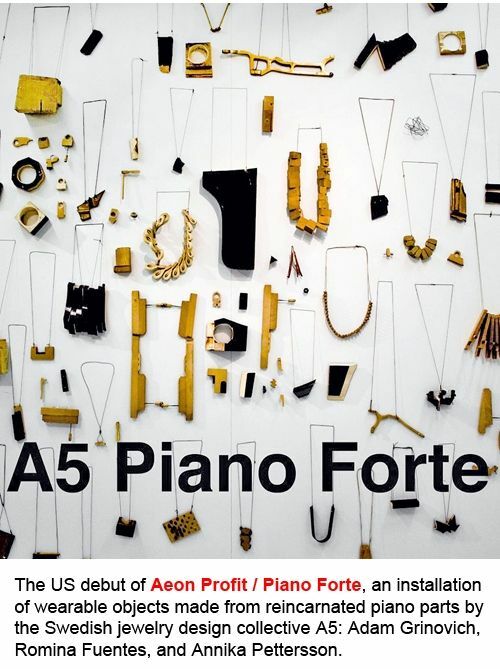 Velvet Da Vinci is proud to present the US debut of Aeon Profit / Piano Forte, an installation of wearable objects made from reincarnated piano parts by the Swedish jewelry design collective A5. The show, which has previously exhibited in both Stockholm and Munich, will run from February 5th through March 9th, 2014. An Opening Reception will take place on Friday February 7th, from 6 to 8 pm. 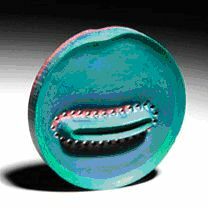 Musical instruments and jewelry share several fundamental similarities: a rich tradition of craftsmanship, function, ornamentation, and inherent value. Both are meant to last generations and to be passed from individual to individual. Thus when an instrument or a piece of jewelry is no longer wanted or needed it falls into a particular space of limbo, the owner wishes to part with the item yet at the same time hopes that it will continue its existence. It is in this way that the group A5, Adam Grinovich, Romina Fuentes, and Annika Pettersson, came into contact with a piano. 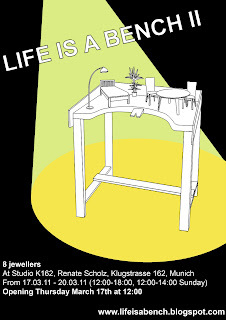 A5 will be exhibiting at the Konsthall C in the Centerfug room 30 March – 17 April. 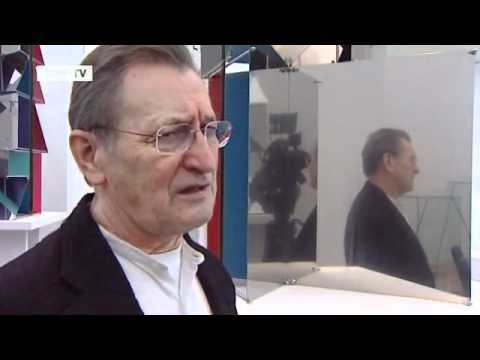 The title of this exhibition will be « Vem Bär Vad? » (« Who Wears What ») and will deal with the perception of individuals on a public and private level. Who wears what? People read each other through their clothing. Through this we form an idea of who we have standing in front of us. One second’s worth of assessment may change our behaviour, our attitude and our response. 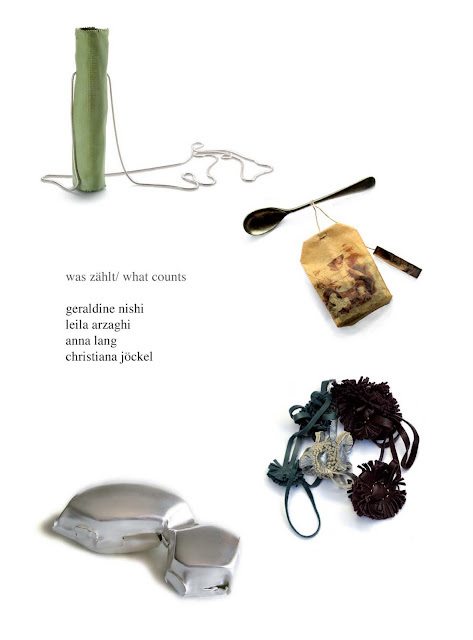 For this project, the artist collective A5 has gathered both visible and more intimate objects from a group of different people. The exhibition consists of both intimate and private garments as well as public and external accessories. Shown together these objects form an alternative image of a group of people. The project and the exhibition is the frist part of the research by A5 according to in wich way people can be presented and represented. The members of A5 has thier own goals as artists and individuals, but in a large extent they share subjects and working methods. The artits group provides a platform for free experimentation, and a collective and individual development. They work togehter with both individual artists and artist groups from a variety of backgrounds. A key word is collaboration. A5 was formed in 2008 with the idea of connecting three artists whom shared a similar vision. Annika Pettersson, Romina Fuentes, and Adam Grinovich met while studying at the Adellab/metalformgivning department at Konstfack University. 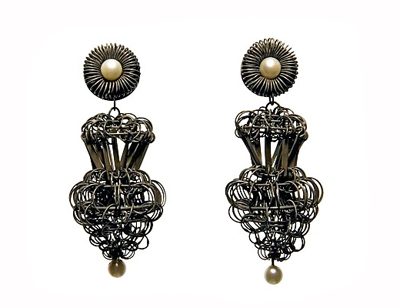 Each member maintains a career as a professional artist in the field of contemporary jewelry. A5 has since served as a forum for creative discussion and international cross-disciplinary collaboration. A5 has worked on a variety of projects with the main goal of establishing connections with as many diverse fields as possible. It is extremely important for A5 to promote work to a large audience, collectively and individually we feed off of the viewpoint of the viewer, the relationship between objects, images, and individuals. Please find enclosed the program of the Schmuck 2011 during the International Trade Fair in Munich. 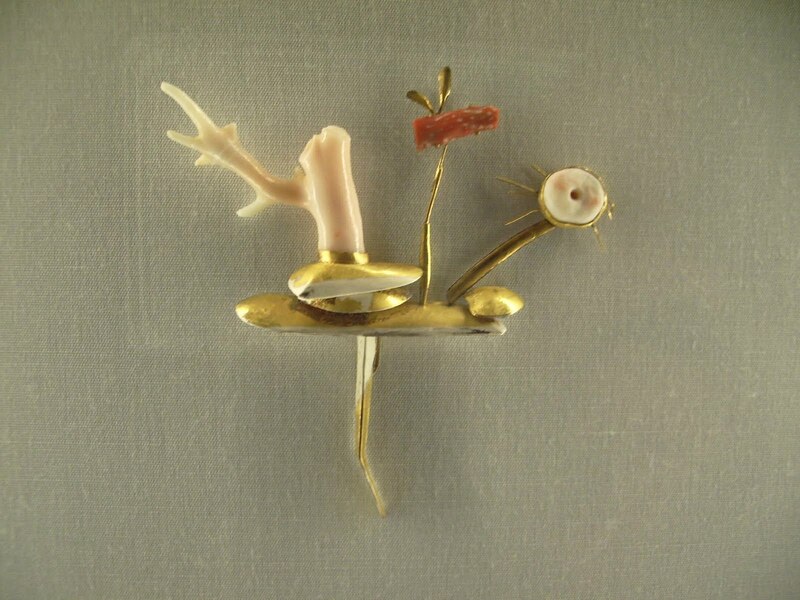 The selection of the 62 exhibits to feature in the special show SCHMUCK 2011 was made by Dr Rüdiger Joppien (Head of the Department of Art Nouveau and Modernism at the Museum für Kunst und Gewerbe in Hamburg), a recognised expert in the applied arts. 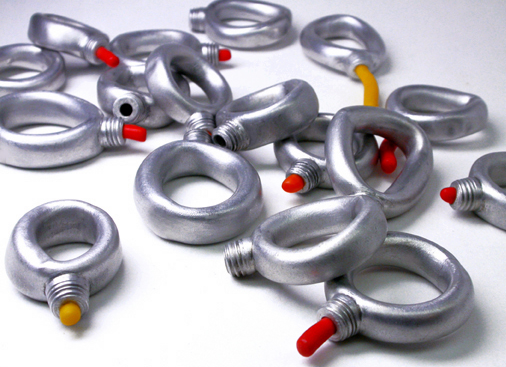 In total over 650 designers had submitted applications to be granted a space to exhibit within SCHMUCK 2011. Featured in the exhibition are the works of a number of designers of international renown – names like Kimiaki Kageyama (Japan), Ted Noten (Netherlands), Lisa Walker (New Zealand), Ike Jünger (Germany) and Peter Bauhuis (Germany). For the first time this year the exhibition will also include work from China, Mexico and Turkey. In 2011, as in every year, there will be a retrospective of the works of one of the ‘classics of the Modern’. 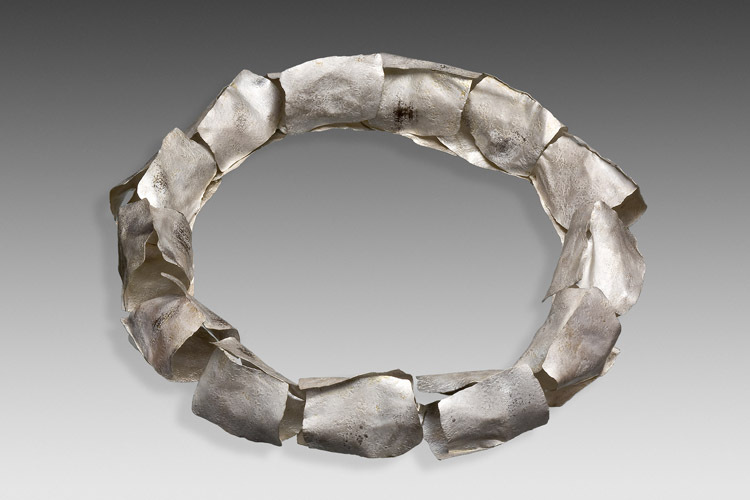 SCHMUCK 2011 will present the key works of Manfred Bischoff, a German goldsmith living in Italy who is regarded around the world as one of today´s leading contemporary jewellery designers. At the Internationale Handwerksmesse one of the many prizes he has received is the Bavarian State Prize (2005), an award which enjoys the very highest regard in the field of arts and crafts. SCHMUCK the special show culminates in the presentation of the Herbert Hofmann Prize on 19 March 2011. 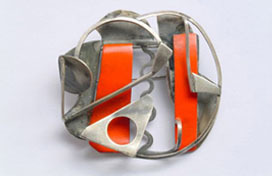 In addition SCHMUCK 2011 is accompanied by a whole host of other events taking place in galleries, museums and arts institutes in Munich. After the Internationale Handwerksmesse SCHMUCK goes on tour, this time, for the first time, also to France. The French town which was given this honour is Cagnes-sur-Mer (Espace Solidor) in Provence. In recent years this small town has developed a reputation as a meeting place for statement jewellery designers. 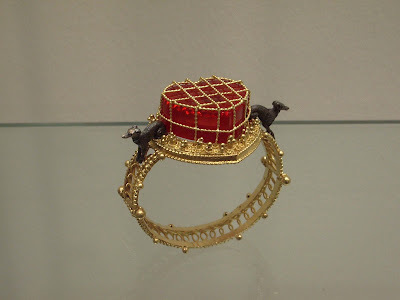 SCHMUCK first started to travel around the world in 2006, and has been seen in Australia (RMIT Gallery, Melbourne), Great Britain (Birmingham City University), Poland (National Art Gallery, Lódz), Italy (Oratorio di San Rocco, Padua) and the US (Museum of Arts and Design, New York). Sonderschauen der 63. Internationalen Handwerksmesse München. 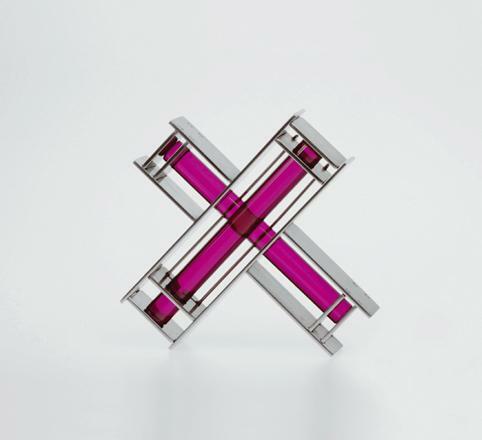 Schmuck 2011, Exempla 2011-Werkstätten der Zukunft mit Karl Fritsch, David Huycke; Talente 2011; Meister der Moderne 2011 mit Johanna Dahm, Georg Dobler; ›Frame‹ Präsentation internationaler Galerien: Galerie Marzee, Galerie Platina, Galerie Ra. Galerie der Preisträger, Bayerische Staatspreise 2005-2010, 11.3.-21.4. Barerstr. 40, Pinakothek der Moderne, 80333 München. Prag 19.3.-15.5. Vernissage am 18.3. um 19 Uhr, Di-So 10-18 Uhr, Do 10-20 Uhr, Tel. 089-2727250 und 089-23805360, www.die-neue-sammlung.de. Studio K162 Renate Scholz, Klugstr. 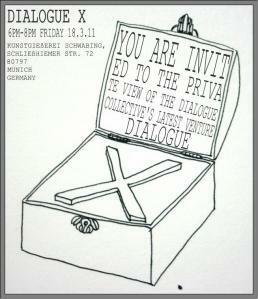 16 Uhr Discursive Picnic – ein Austausch zwischen Passanten, Kunstinteressierten und Künstlern. Ein Ereignis, bei dem jeder Gast und Gastgeber zugleich ist. Nordendstrasse 7a/Eingang Ecke Adalbertstr., 80799 München, www.schlegelschmuck. 17-19 Uhr WITTENBRINK ZEIGT SCHMUCK Tobias Alm, Kiko Gianocca, Noon Passama, David Phillips. Jewels for the Ladies. 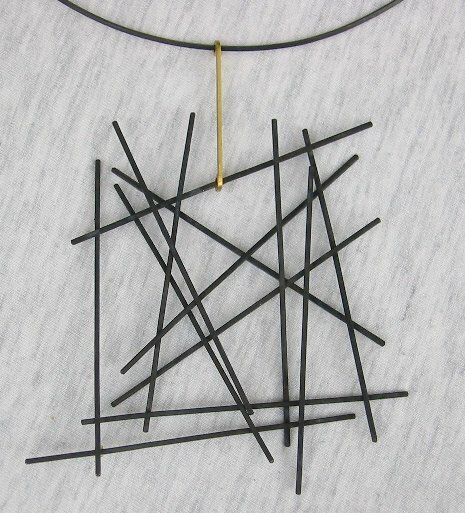 Bead necklaces designed for Anita Evenepoel and Marjan Unger, Students from the Royal Academy of Fine Arts Antwerp. Galerie Elsa Barenyi, Welserstr.1, 81373 München, Tel. 0032-485434390. Holy. Gisbert Stach, Rose Stach & special guests. Schmuck, Fotos, Videoarbeiten. Fotostudio Adrian Greiter, Welserstr. 11, 81373 München, Tel. 0174-8050333. Blutenburgstraße 79, 80634 München, www.nieohneseifewaschen.wordpress.com, 17.-20.3. 19-21 Uhr RUUDT PETERS – ANIMA 17/3 -> 23/4. und im Fenster UNDER THAT CLOUD 17->22/3. Timothy Information Limited. Kunstgießerei München, Schleißheimer Str. 72, 80797 München, with 84 GHz, 18.-20.3. « Eine Revue über Rein-Gold und kuriose Gehänge, dicke Klunker und zarte Geschmeide. Schmuckstückstories in 6 Akten. Schauspiel von Die Vorleserinnen Katja Brenner, Sophie Engert, Vanessa Jeker. Galerie Anna Pirk, Seestrasse 24, 83700 Rottach-Egern am Tegernsee, Tel. 08022-1884222. Apart from SCHMUCK, other special displays of arts and craft are hosted at «Handwerk & Design»: TALENTE, a show of the work of promising young designers; EXEMPLA, subtitled this year ‘Workshops of the Future’; and MEISTER DER MODERNE, featuring a selection of the work of famous international masters of arts and crafts and applied arts. Visitors who want to find out more about contemporary craft and design have the opportunity of taking part in a guided tour of «Handwerk & Design». These tours, which are free of charge, start each day at 13:30 (meeting point: stage in Hall A1, no registration needed). Organized by the Verein zur Förderung des Handwerks e.V. with a special VIP opening on Thursday 17th from 6 until 10. On Saturday 19th March we will have the ceremony of the Herbert-Hofmann-award at 4 p.m.
« Musical instruments and jewelry are similar in a fundamental way, you don’t throw them away. If either were to break or become damaged one would rather put them up for donation, in hopes of sustaining its existence. It is in this way that the group A5 (Afive), Adam Grinovich, Romina Fuentes, and Annika Pettersson, came into contact with a piano. 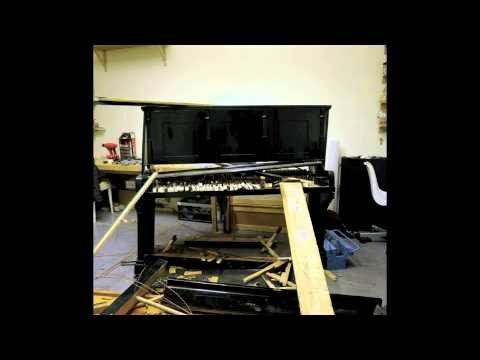 From its inception the piano has a natural connection to the human body. The piano is built for the body, and according to a human being. The piano can be viewed as a jewel within a room, yet its full value and potential is not realized until it enters a symbiotic relationship with a person. The piano is an embodied idea with a sensitive cultural identity and sentimental value. In the exhibition “Aeon Profit – Piano Forte” A5 set out to explore the existence of the piano, breaking it apart from human function. A5 attempts to recreate the pianos identity in a new constellation and a different perspective on connecting to the human body. The complex mechanisms contained within a piano provide a wide spectrum of materials and forms, not unlike the organs contained within a human body. Together with existential values, we create and accumulate to become the being that we are.